Like many cities west of the Missouri River, Troy experienced a population boom after the millennium, increasing from 6,700 residents in 2000 to just under its current population of 10,000 in 2005. That population growth set the pace for progress in this small-town community that has country comforts and suburban amenities. Young families and retirees alike are attracted to Troy because of its affordable new homes, award-winning school district, low crime rate, and overall rural serenity. The quality of life in Troy is enhanced by the city’s recreation and shopping opportunities. Troy’s historic downtown business district offers a rare shopping experience incomparable to modern strip malls. 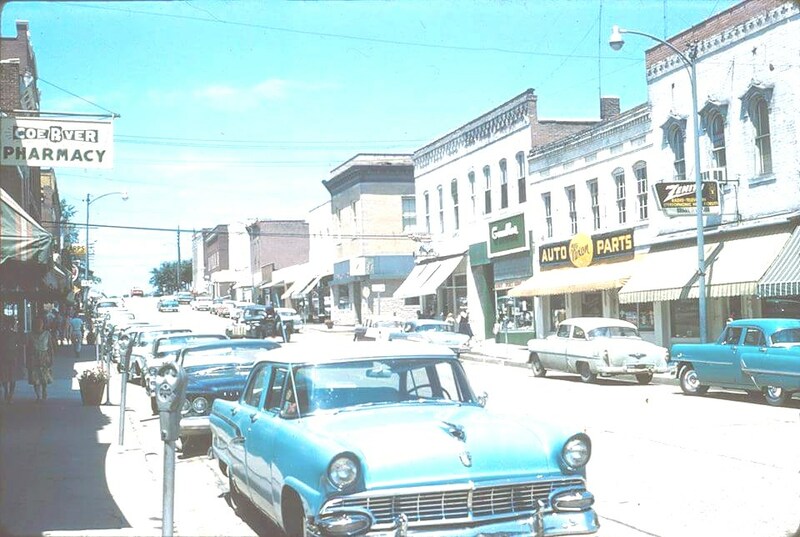 Main Street is home to family-owned businesses, some of which opened here in the 1800 and 1900s. A few Main Street establishments include a wine shop, a candle shop, a shoe store, a home décor boutique, a musical instrument shop, a wedding shop, a furniture store, and a hardware store. Sidewalks and resting benches invite pedestrians to stroll leisurely from shop to shop while learning about Troy’s history. At the corner of Main and Boone streets is Historic Woods Fort, where settlers built a stockade to defend themselves from hostile tribes during the War of 1812. The fort features a log cabin and is now a park attraction. Historic Britton House, the first home built in Troy, stands next to the cabin. 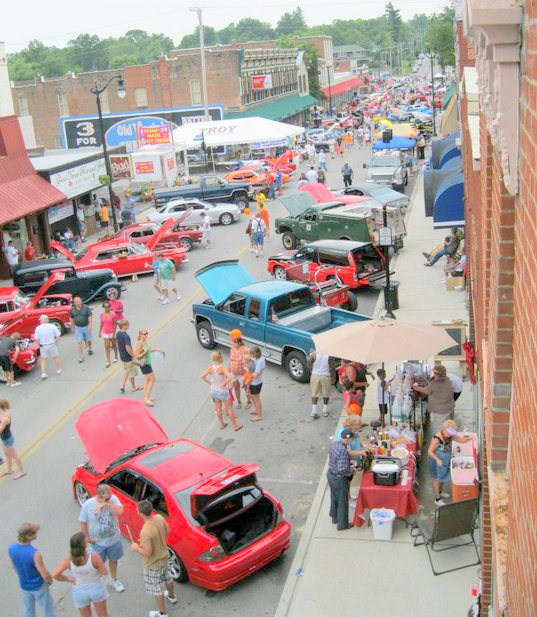 Just as it was the center of activity in the 1800s, Main Street is still the hub of city festivities today. The street is closed to vehicular traffic several times each year for parades, a car show, and a pumpkin festival. Also held on Main Street is Night of 1,000 Stars, a winter holiday festival that features caroling, horse-drawn carriage rides, dance troupes, attendance prizes and live band performances all set to the backdrop of luminary candles that line the street. The city’s largest concentration of businesses and restaurants is conveniently located along State Highway 47. Troy has about 400 businesses – including more than 40 eateries, restaurants, and bar and grill establishments. The city’s three main parks are perfect places to relax and play. Fairgrounds is the city’s largest park with four baseball fields, three soccer fields, a basketball court, a bandstand, three covered pavilions, a tire jungle gym, skating ramps, and a traditional playground area. Fairgrounds Park is best known for its pond that attracts ducks and geese. Both Weinand Park and Avery Family Park have walking trails, playgrounds, barbecue pits and fields for picnicking. For those who enjoy camping, hiking, fishing and swimming, Cuivre River State Park is just east of Troy.